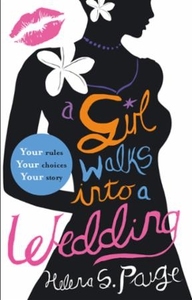 *A CHOOSE YOUR OWN DESTINY NOVEL* Your best friend is getting married. You're going to be her bridesmaid so you have a lot to deal with - the hen party, pre-wedding nerves, your dress, the men . . . So many men. And you have to choose between them. Maybe you'll end up having fun at this wedding after all. * The priest is definitely heaven-sent but he's off limits, isn't he? * Or perhaps you'll pick the best man. He's very attractive but the best man and the bridesmaid is such a cliché. Right? * And then there's the rugged pilot - his offer of a brief encounter might have surprising consequences . . . Whichever way you decide to go, each twist and turn will lead to an unforgettable encounter. Can you choose the ultimate sensual experience? Remember: if your first choice doesn't hit the spot, then start over and try something (and someone) new. The power is entirely yours in this fully interactive, choose your own destiny novel.